Computer maker Hewlett-Packard has launched its new lines of consumer notebooks, aiming to capture attention heading into the end-of-year holiday season…and maybe catching a few people who aren’t ready for the back-to-school blitz yet. The new system run the gamut from highly portable minis to the 17-inch Envy 17 3D—which, as the name implies, offers 3D entertainment capability, so long as you’re wearing the proper shutter glasses. Starting out, the new Mini 210 is is built around new Intel Atom processors that support DDR3 memory—the dual-core Atom is available as an option—and HP says it’ll run for almost 11 hours on a single battery charge. the Mini 210 features a 10.1-inch display and is capable of playing back HD video content; the system also offers WLAN options in addition to an integrated webcam, microphone, optional GPS, Dolby audio, and HP’s own Media Suite, Evernote note-taking software, and QuickSync technology for synchronizing with a home PC. The Mini 210 is available now in the U.S. at prices starting at $329. Next up, the Mini 5103 weighs just 2.64 pounds and, like the Mini 201, sports a 10.1-inch HD-capable display and is available with new Atom N455 and N475 processors that support fast DDR3 memory, as well as the N550 dual-core Atom. The Mini 5103 will also be available with a touch-enabled display and features an optional handle for easy carrying. Customers can choose between a light 4-cell battery or a longer-lasting 6-cell battery: HP says the 6-cell edition offers over 10 hours of battery life. The HP Mini 5103 is available now in the U.S. with prices starting at $399. 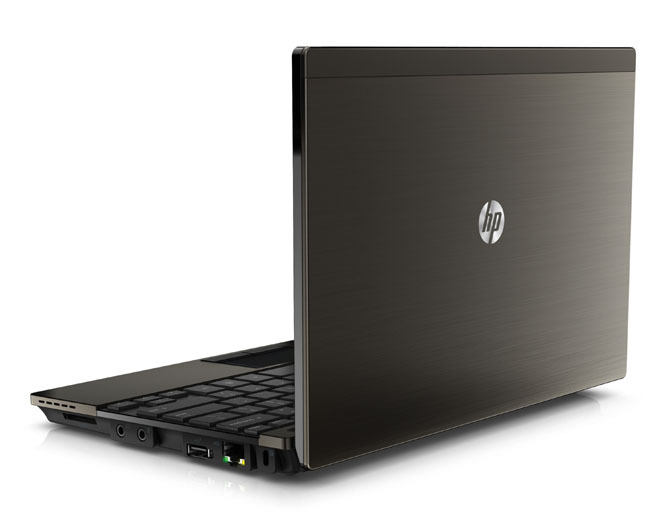 Meanwhile, HP’s new mainstream notebooks focus strongly on digital entertainment. 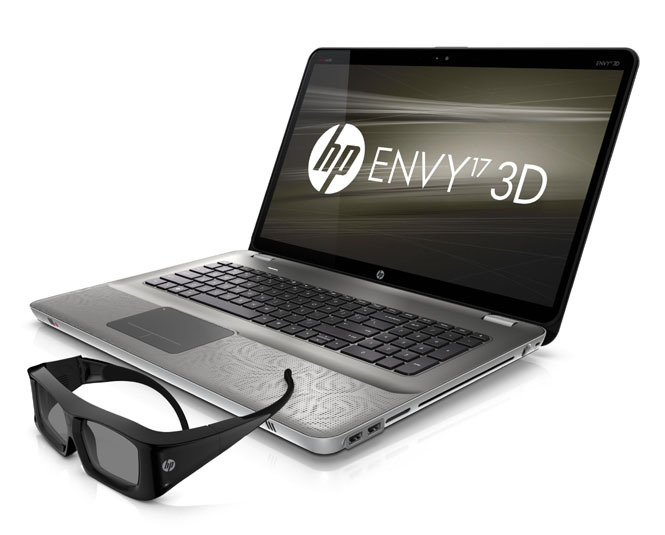 Leading the pack is the HP Envy 17 3D, a monster with a 17.3-inch display that supports full 1080p high-definition video and, with the addition of HP 3D Active Shutter Glasses, supports 3D content. The Envy 17 ED is powered by a quad-core Intel Core i7 processor, ATI Mobility Radeon HD 5850 graphics, and ATI Eyefinity technology for multiple display support; the notebook can also handle up to 2 TB of onboard storage so customers will never have any excuse for being bored. 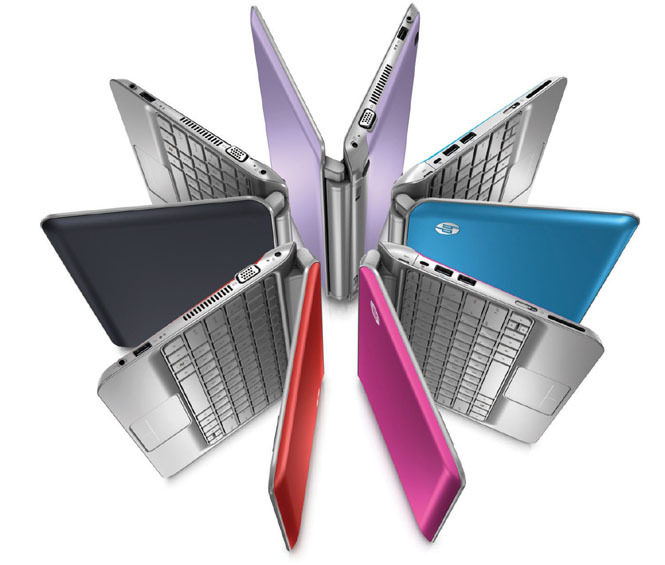 HP says the Envy 17 3D will be available “this holiday season” but hasn’t announced any dates or pricing. Folks looking for something smaller might consider the HP Envy 14 Beats Edition, which incorporates audio technology developed by HP and Beats by Dr. Dre. The Envy 14 Beats Edition features Intel Core processors, ATI Mobility Radeon 5650 graphics, and comes with Beats by Dr. Dre Solo Headphones, and the company says the notebook should get up to 6.5 hours of battery life, which can be extended up to 13 hours with the option HP Slim Fit Extended-Life Battery. The Envy 14 Beats Edition is available now in the U.S. at prices starting at $1,249. Finally, HP is also offering up the Pavilion dm3, which features HP CoolSense technology to produce a notebook that’s “noticeably cooler” than comparable models—meaning, there’s a slim possibility someone might be able to use it on their lap without risking a burn. The dm3 features a 13.3-inch display, up to 7 hours of battery life, and is less than an inch thick—the unit also features an accelerometer to figure out how the machine is being used and kick in cooling appropriately. The Pavilion dm3 is available now at prices starting at $549.